Marvel held their panel today at the New York Comic-Con. 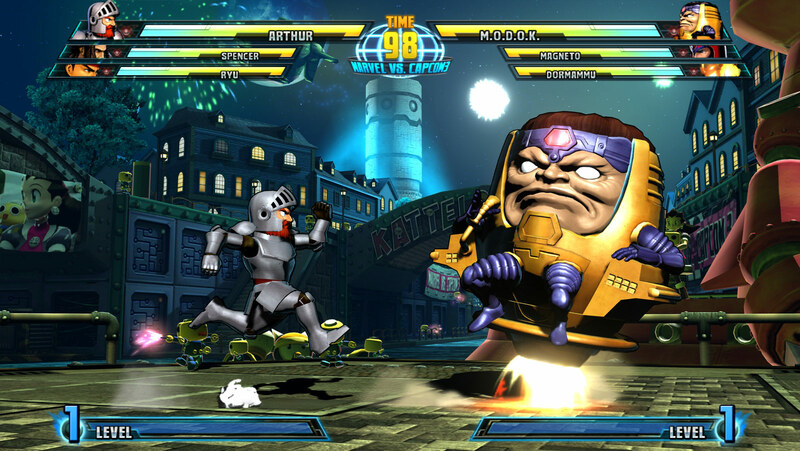 They formally announced that Magneto and MODOK will be joining the other cast members of Marvel vs. Capcom 3, and added a few minor notes about the game. • It was stated that Blade and Mojo wouldn't be playable characters. • You'll see off-the-wall characters cameos in the endings, Blade, Mojo, Ghost Rider, Kingpin and others. • While Doctor Doom and Wesker assembled a cast of villains that could destroy both Capcom and Marvel's worlds, a greater threat arises during the process. 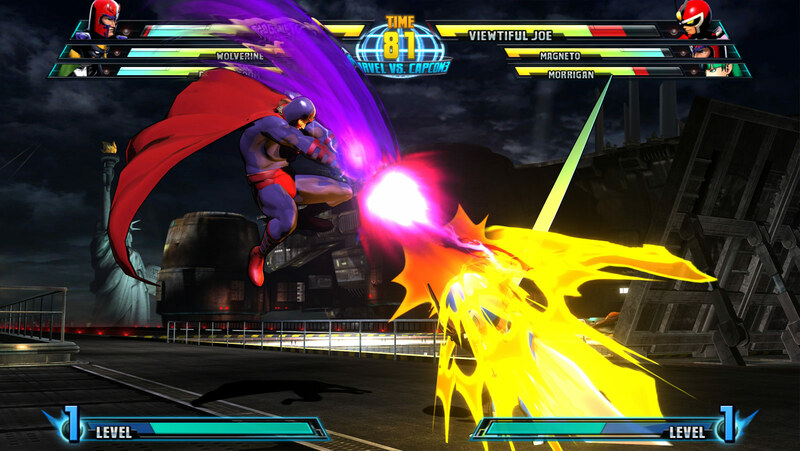 This might be Dormammu, as hinted at in previous trailers. 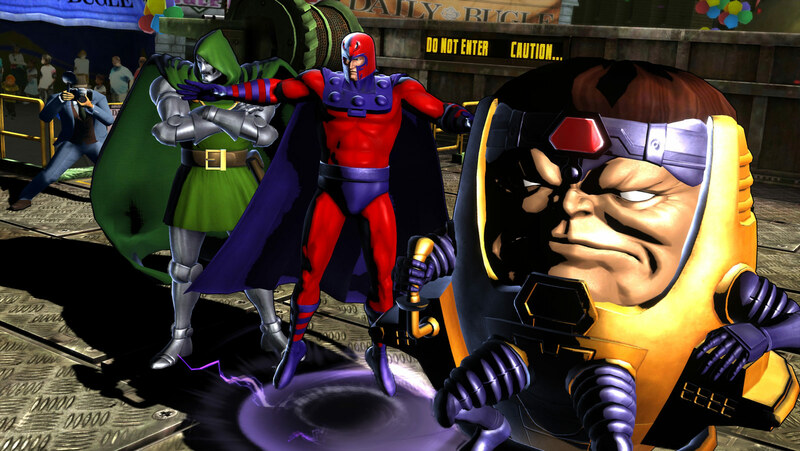 Check out below the 3 new gameplay videos featuring Magneto and MODOK. Also we've got some screens that you can check out as well. What hope did you have against the master of magnetism? Gameplay footage of Spider-man in his alternate costume!